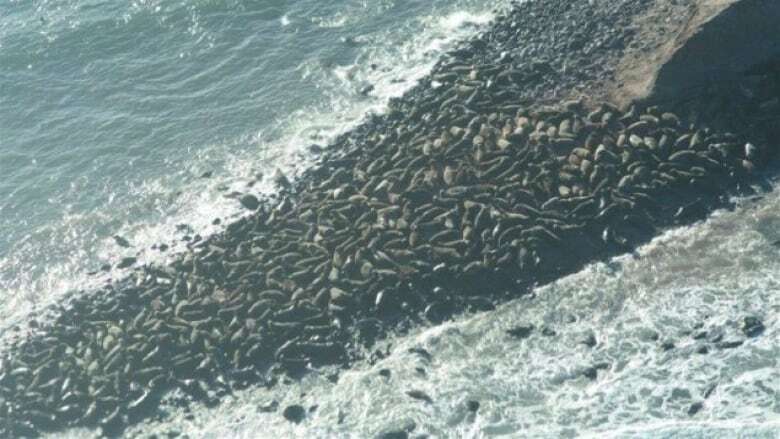 A biologist from the Magdalen Islands is angry the Quebec government has rejected a plan to slaughter 1,200 grey seals on Brion Island, a nature reserve in the archipelago, for scientific research. The proposal from Dr. Pierre-Yves Daoust, a wildlife veterinarian and pathologist at UPEI's Atlantic Veterinary College at UPEI, hinged on getting the approval of Quebec's fisheries and environment ministries. It was rejected last month. Biologist Sébastien Cyr said the proposed cull had the unanimous support of people in the Magdalen Islands. "All the fishermen's associations had supported the project, the environmental groups as well, the municipality's residents ... There was a consensus in the community for the project," Cyr said. Cyr considers it essential to analyze the health of the grey seal population on Brion Island, which has ballooned from 400 in 1999 to 10,000 today. There are an estimated 600,000 grey seals living in the Gulf of St. Lawrence. In addition to analyzing the carcasses of the animals, Daoust and his research team want to determine if the meat and oil are of high enough quality to be sold commercially, should the seal hunt ever be reopened. The plan had been to then turn over the carcasses to people in the sealing industry, who could then process the sealskins, fat and meat. That plan was rejected by the government in late December, however, because of the commercial aspects of the proposal. Cyr finds that reasoning deplorable, calling the plan to use the seals after the research on them is done "sustainable development." "Carcasses wouldn't be left to rot," Cyr said. "To kill for the sake of killing is useless, so we wanted to salvage the animals for the benefit of the community." Brion Island has been an ecological reserve for close to 30 years, however, Cyr said the seal cull wouldn't threaten its status. He's written a letter to Deputy Environment Minister Patrick Beauchesne, explaining that the seal overpopulation is damaging the motors of fishing boats and vegetation in the areas where the seals congregate with their young. Cyr says he doesn't understand why the government refuses to manage the grey seal population the same way they manage species such as moose, to deal with an overpopulation problem. Daoust and his research team, as well as Magdalen Islands' seal hunters, are still intent on carrying out the research and are looking for a Plan B.